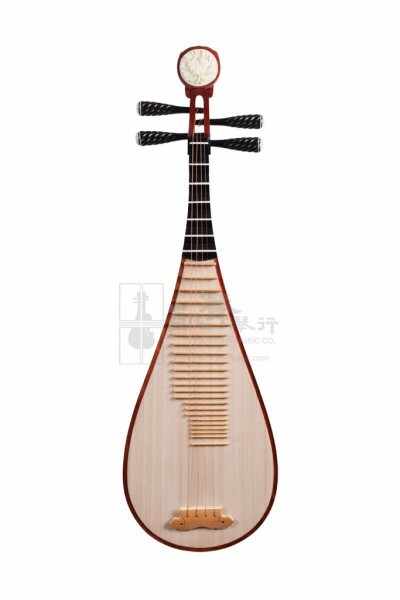 From acclaimed Suzhou Pipa maker, Zhu Chongshan, this Pipa is made out of Selected Paulownia front and Fine Fragrant Rosewood with Buffalo Horn pegs. With more than 20 years for Pipa making experience, Zhu Chongshan often works with contemporary Pipa performers and teachers to enhance the sounds of the Pipa. As it can provide bright tone colors, and additional volume, this Pipa is designed for intermediate students to brush up the basic techniques they mastered and bring it up to the next notch. Fashioned with Buffalo Horn pegs and neck, the head of the Pipa is graced by a white sculpted tree peony that exhibits a sense of classical beauty in its elegant matte finish. Comes with Case, Finger Pick, Adhesive Tape, and Spare String Set, this Pipa is ready for any intermediate students to pick up and play upon receipt.